Happiness and prosperity starts with the mind. If most of your thoughts are negative, how do you expect to have a positive life? That's where learning how to think positively will help you. It is a skill that can be learned through habit with the help of this affirmations audiobook. This audiobook contains 400 uplifting affirmations with uplifting music designed to rewire the way you think. By transforming your thought process, you will repeat the thoughts that winners think - while developing a winner's mentality yourself. Developing a positive mindset starts with you. You can transform your attitude and your life - one thought at a time. The only thing I listen to. Uplifts and lightens my day. I need more of these. Maybe some music just to top of the experience. I accidentally pushed a credit for this track and was open minded at first but was disappointed for the following reasons. The music was far too loud as it was a cheap audio background track from the 80's but not the good kind. Very short. The only good thing was the words and her voice. If you could sum up Law of Attraction: Affirmations for Positive Thinking and Happiness in three words, what would they be? 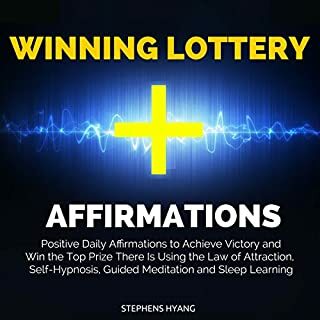 This is a great affirmations book with a TON of amazing affirmations. Loved the music, the words, the voice - everything! What did you love best about Law of Attraction: Affirmations for Positive Thinking and Happiness? 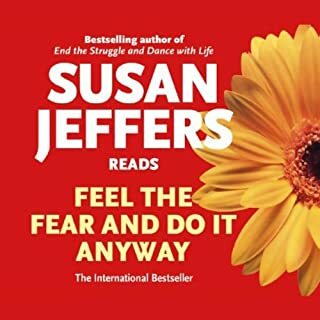 I listen to a lot of affirmation audiobooks, and this one is exactly what I've been looking for. I like affirmations that really emphasize positive outlooks and stay true to the core message of The Secret: Where attention goes, energy flows. Basically, what you focus on, grows. I love that this law of attraction audiobook focuses on such positive messages about the self and life. I absolutely could listen to this in one sitting, and have. Due to its short length, it is not only affordable - it's also the perfect length for a morning listen to star the day off right. I loved the music behind all the chapters. The affirmations were all very positive and inspiring. I will be listening to this again shortly. Thank you for making it! 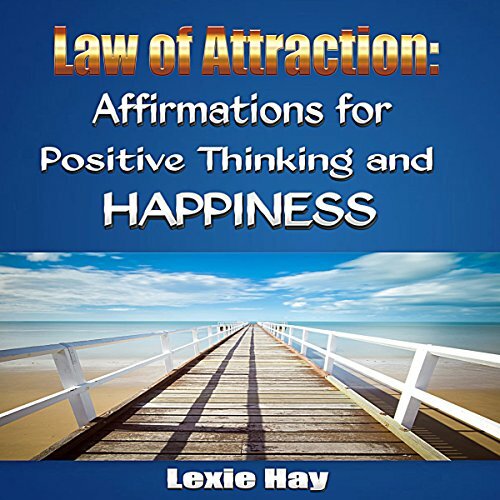 Would you consider the audio edition of Law of Attraction: Affirmations for Positive Thinking and Happiness to be better than the print version? The audiobook version is certainly better than the print version. Why? The music, the voice, the experience. Reading the affirmations is a much different experience than listening to it while sitting in your favorite lounge chair with your eyes closed. It is much more fun, in my opinion, to listen to this work than it is to read it. This audiobook is under an hour, so you can listen to it in the evening as a part of your wind down method. That's how I used it, and I had a great evening. It's an audiobook you can listen to over and over again. Great for changing a bad mood or for some encouragement for the day/evening. Will get more from this author. Nice job. Since the audiobook version has some great music and can be listened to while laying down or doing something else, I would say the audiobook version is better than the print version. What other book might you compare Law of Attraction: Affirmations for Positive Thinking and Happiness to and why? I have also listened to Zhanna Hamilton affirmation audio books, which are similar, and have found them to be very effective as well. 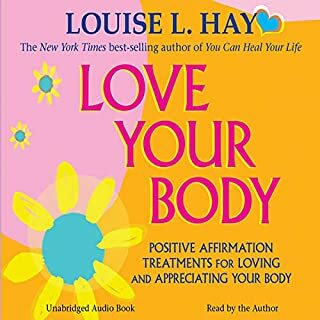 I love everything about this audiobook and find that the affirmations instantly put my in a great mood. It is a simple way to feel great and start the day off with the right attitude. I find the positive vibes stay with me throughout the day after just one listen to this audiobook. Great listen! I often try to follow the law of attraction and attract positive things into my life. This can be hard to do every single day (especially the harder days). 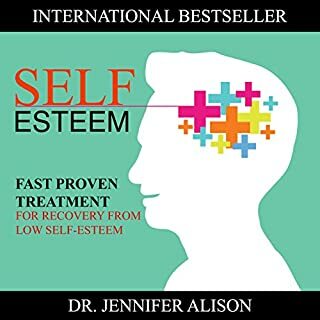 This audiobook helps me keep a positive mind and feel good at the same time. When I listen to it, it's easy to forget my problems and instead focus on what I love about my life. That being said, I love this affirmations audiobook! 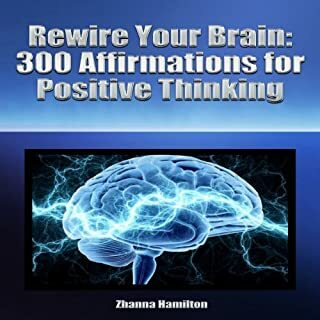 I would compare it to Rewire Your Brain: 300 Affirmations for Positive Thinking. It also has music set to some pretty powerful affirmations. I was in a good mood right after listening to this. It's hard not to feel good after so many uplifting words. Definitely something to listen to every day. I hope this author comes out with similar products soon. As soon as I finished listening to this jewel of an audiobook, I was perky and ready to face the day. It is a marvel how your perspective changes when you are in a good mood. I wish I knew about "programming" my own thoughts in order to have a great day sooner. It would have saved me many bad moods. I love the idea of being the master of my own mood, thoughts and destiny. This was an absolute pleasure to hear. Narrator has the perfect voice, want to see what other works she's done. Like the affirmations. LB. Rose please do many...many more books!!! I use this as a good tool for affirmations and meditation. I helps me sleep too.